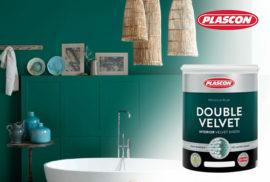 We are a proud stockist and distributor of a wide range of interior paint, including Plascon paint such as Double Velvet and Velvaglo, Dulux Paint Pearlglo and Luxurious Silk, Dekade Paint Gold Label Sheen and Satin Glo. Our paint professionals will keep you updated and informed – aimed to educate, inform and inspire. A superior and extremely durable, washable 100% pure acrylic emulsion paint suitable for interior and exterior use. 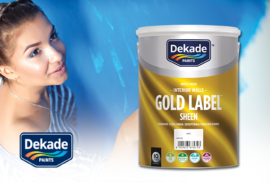 Gold Label Sheen has a luxurious silky sheen finish which offers outstanding washability and dirt resistance. Available in white, 30 popular standard colours and thousands of colours from the Dekarama colour tinting system. Available in 1, 5 & 20 litres. 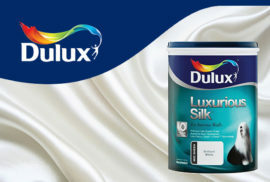 For a tough, beautiful satin sheen finish for walls & trims. Water-based, non-yellowing, non-drip, low odour, environmentally friendly. 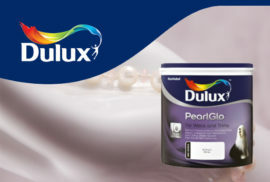 Superior waterbased enamel for interior and exterior use. 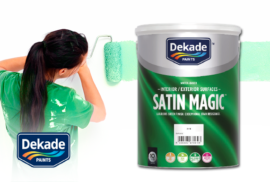 A low odour, premium quality, interior velvet sheen wall coating that is highly washable and stain resistant. The product is formulated with the technologically advanced Silver Protect™ which inhibits the growth of bacteria, as well as mould and fungus, reducing the chances of discolouration and other damage caused by their growth. 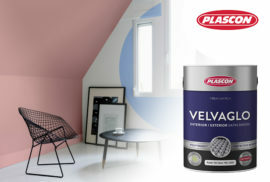 Plascon Velvaglo contains Polytough™, a unique polyurethane enamel that cross-links to form a resilient protective barrier that is Heat, Steam, Chip and Stain resistant. 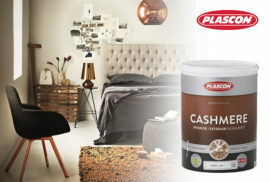 It is an extremely tough premium quality paint that offers a protective and decorative finish for walls and trim work.